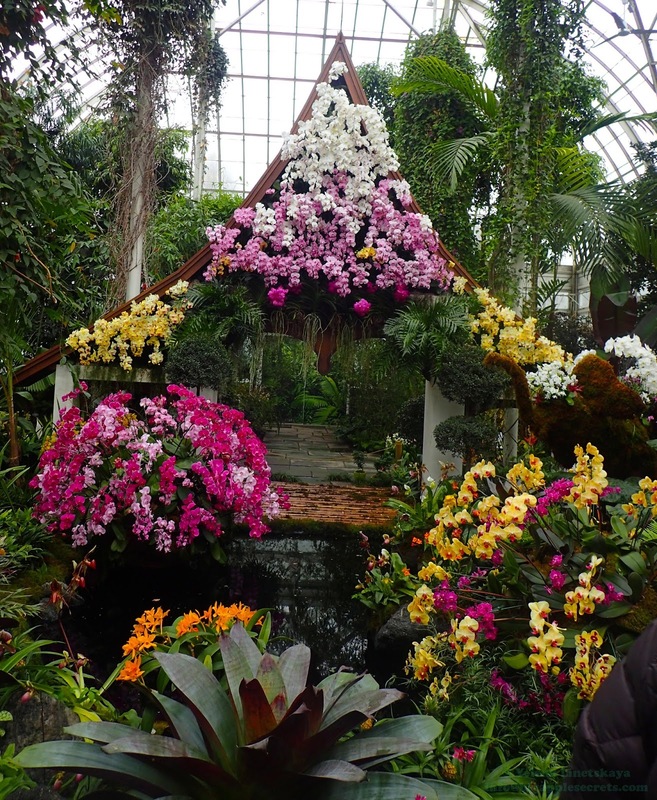 On February 2 for 131st time Punxsutawney Phil has shared his meteorological ideas with a large crowd of people. 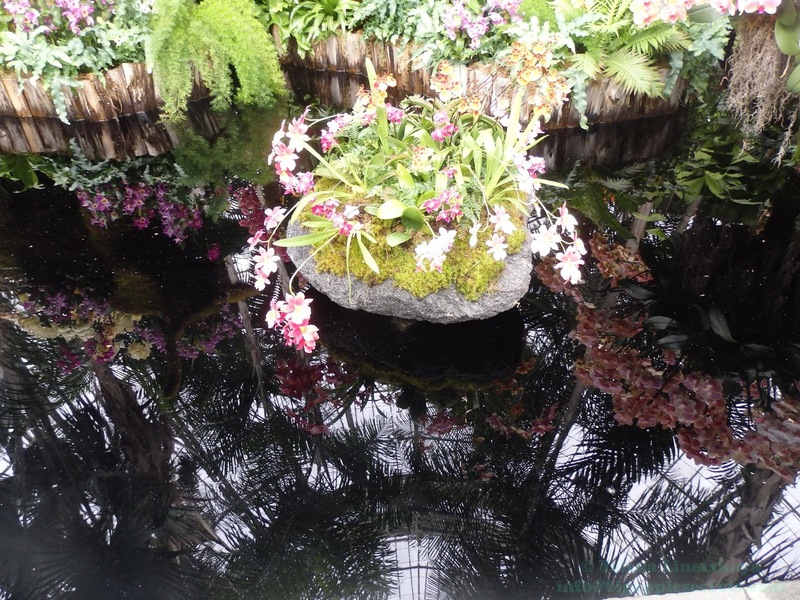 Phil saw his shadow on Thursday, officials said, prompting a declaration of six more weeks of winter. 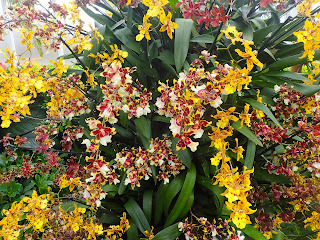 Six weeks passed and so what? The spring is coming late this year... 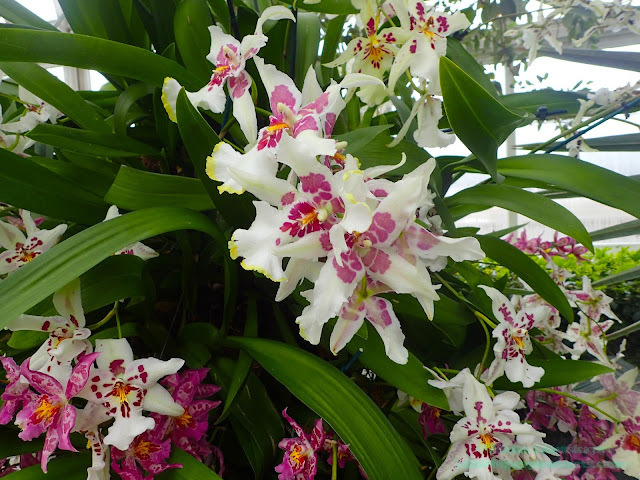 If you are hungry for the green leaves and flowers I advise you to stop by the New York Botanic Gardens "Orchid Show", which is on through April 9th, 2017. 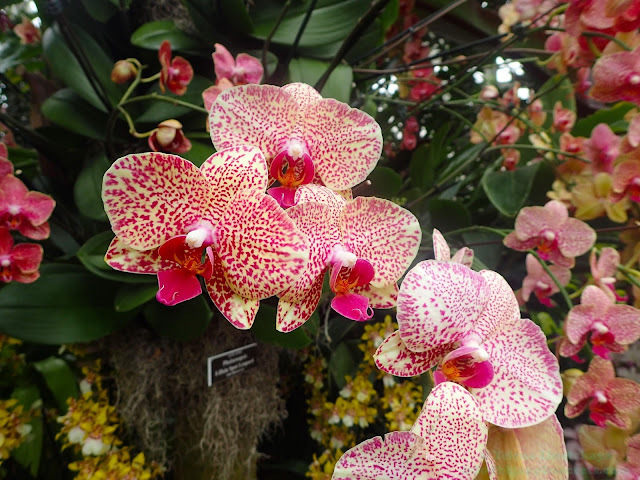 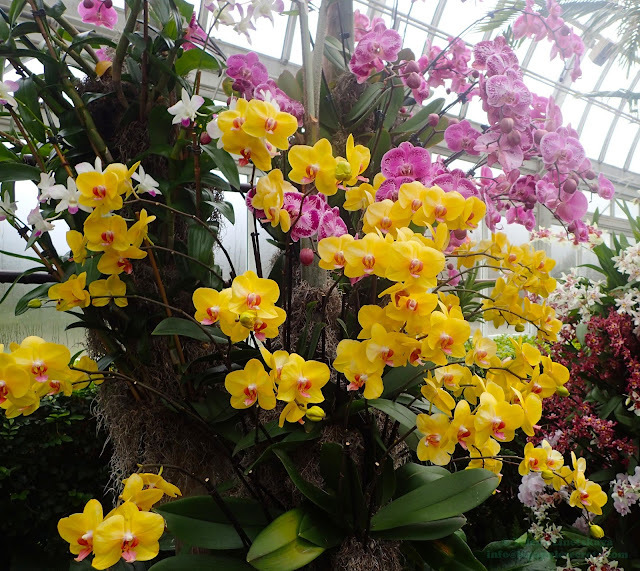 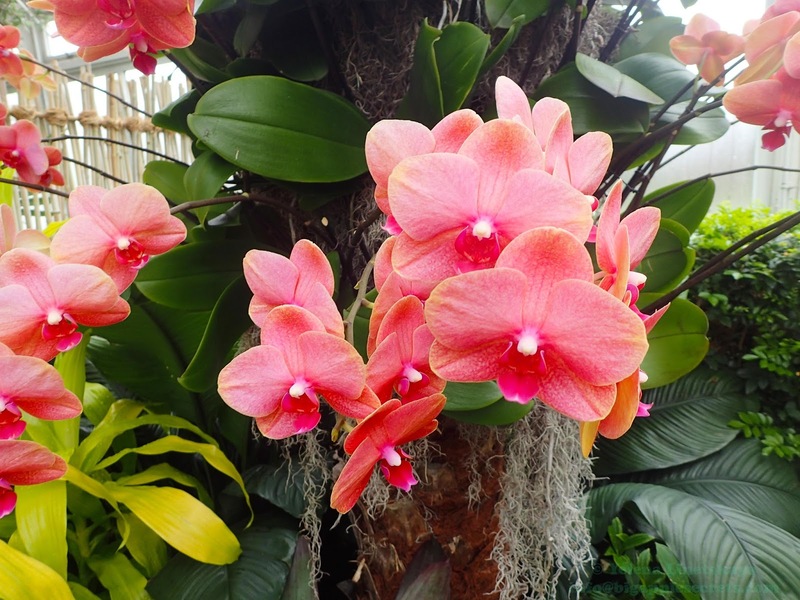 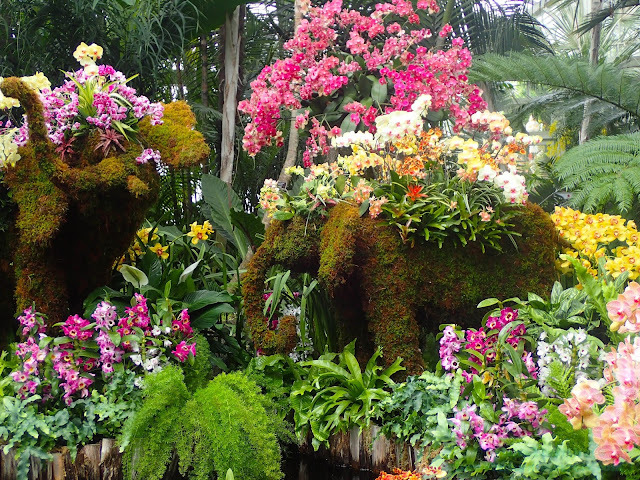 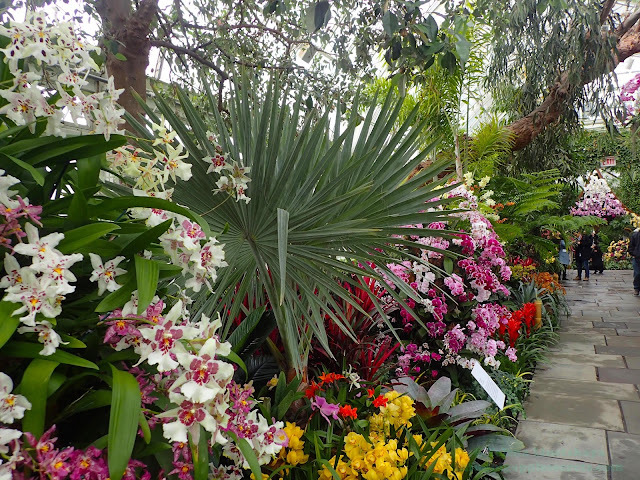 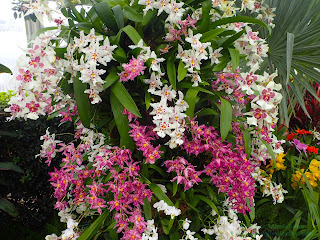 Each year, The Orchid Show transforms The New York Botanical Garden, with thousands of orchids on display. This year the theme of the 15th annual Orchid Show is Thailand. 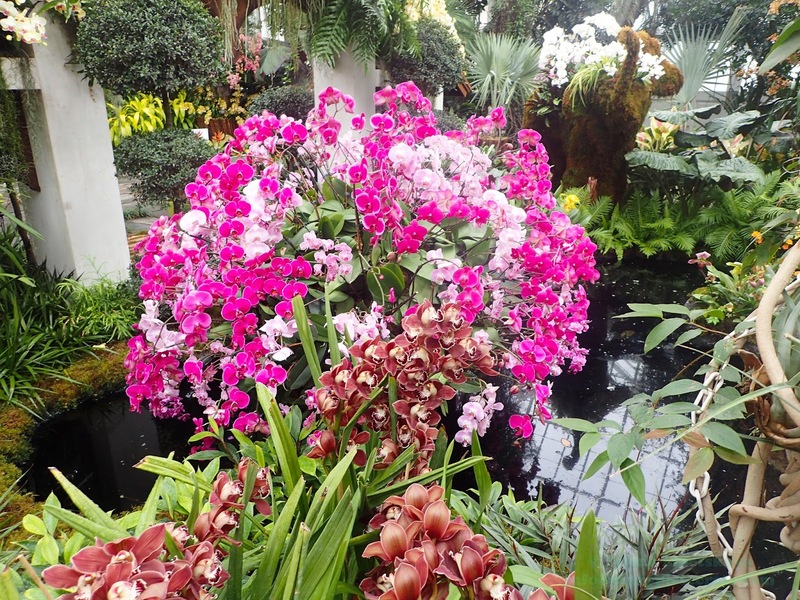 The Orchid Show: Thailand pays homage to the rich cultural traditions and 1,200 varieties of native orchid species in this Southeast Asian nation. 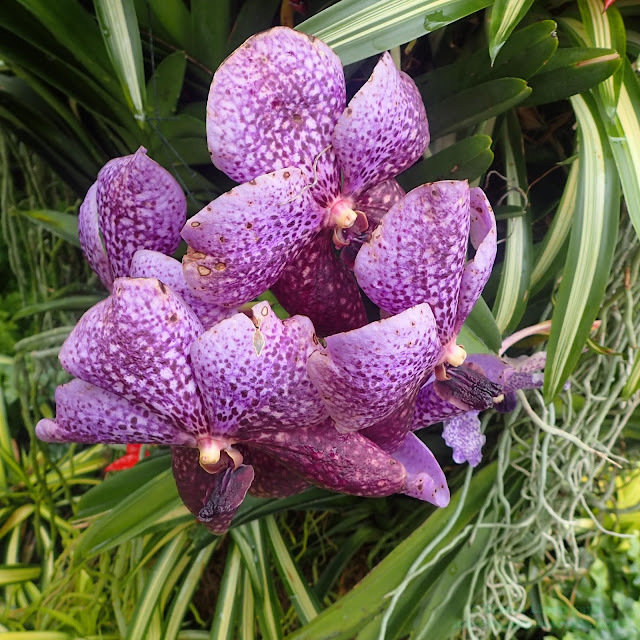 There are thousands of species of beautiful blossoming orchids on the view in the Seasonal Exhibition Gallery at NYBG’s Enid A Haupt Conservatory. New York Botanical Garden created a Thailand-themed show this year, with good reason. 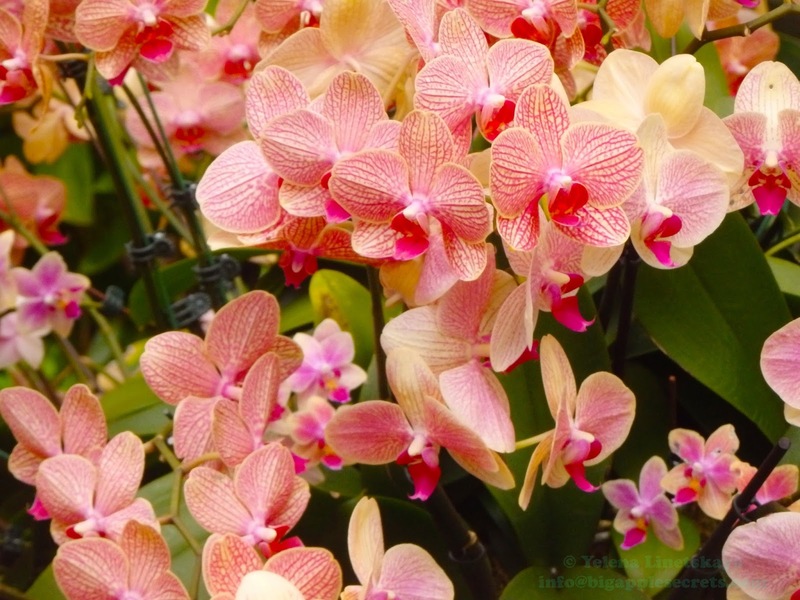 “The orchid is symbolic of Thailand”. 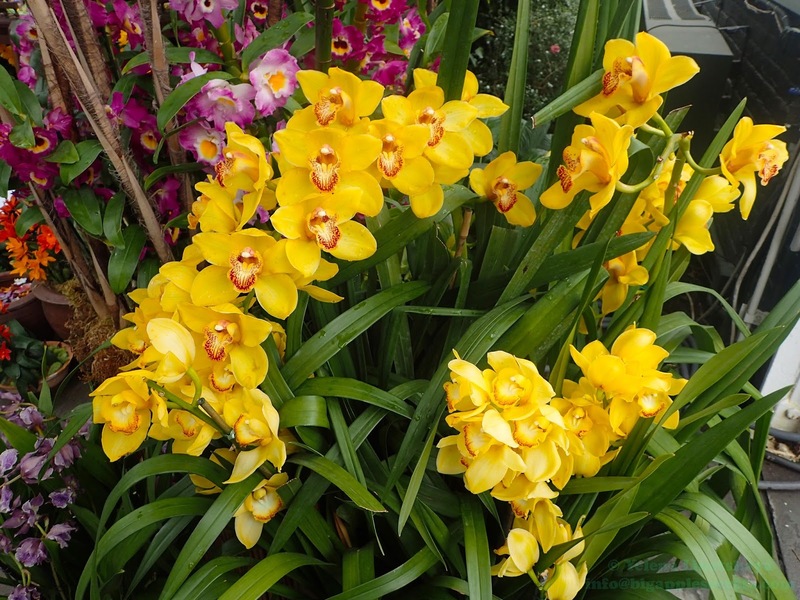 Thailand is justly famous for its many beautiful orchids, or Gluay Mhai in Thai. 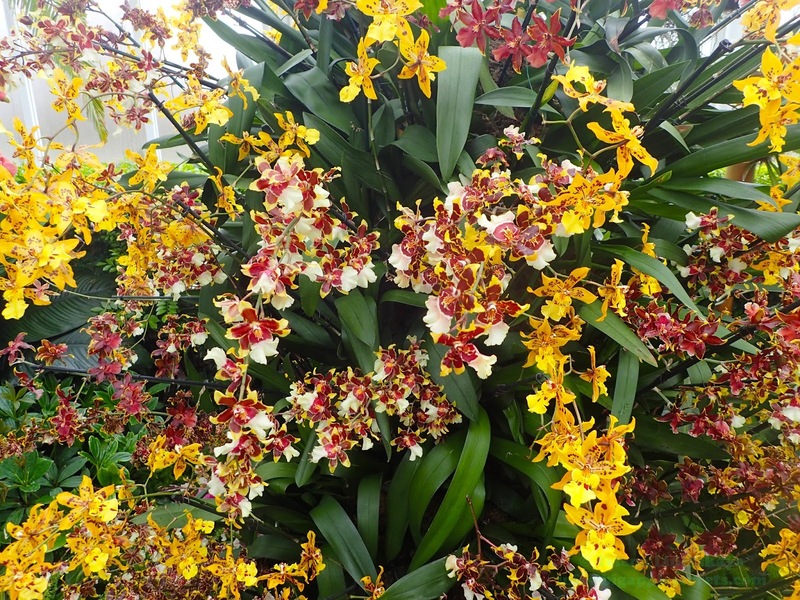 There are more than 1,000 species of orchids in Thailand, and these come in a bewildering and dazzling range of colors - all the hues of the rainbow. 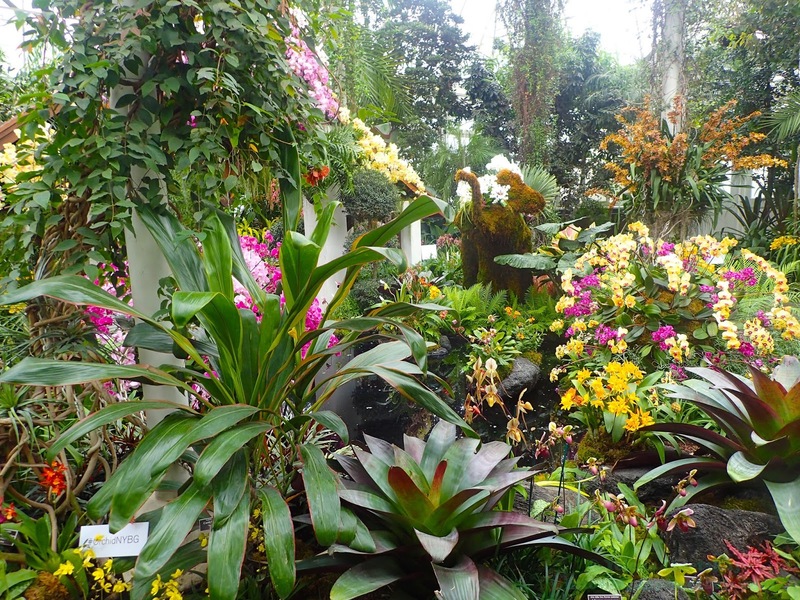 Many of the orchid varieties are easy to grow, and abundant at any time of the year, thanks to the skills of the numerous Thai horticulturists, who have developed their art into a major export industry. Thailand has an international reputation as a center for orchid horticulture. 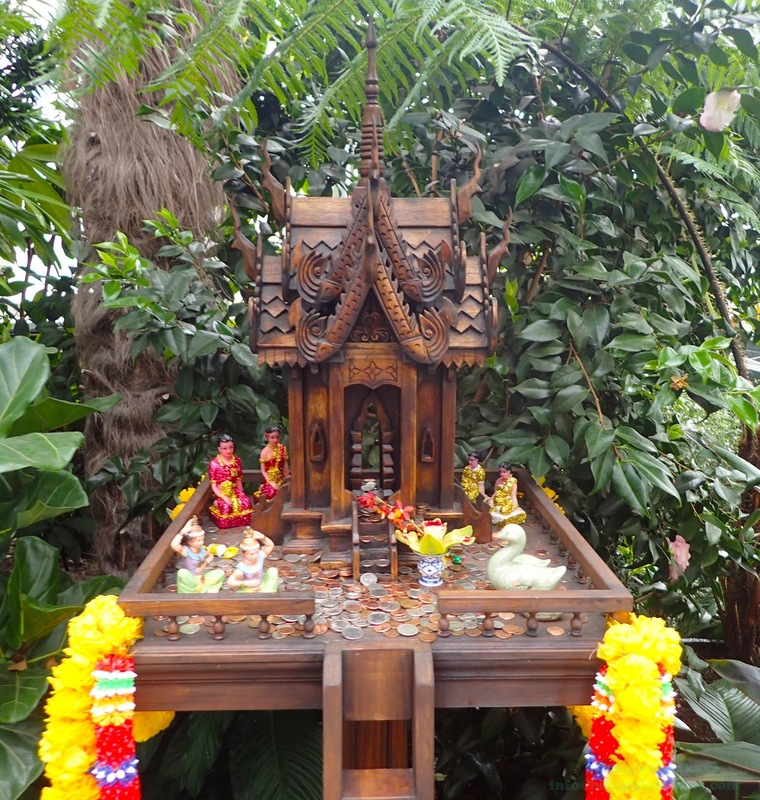 The walkways of the conservatory in New York Botanical Garden are lined not only with the beautiful flowers but with objects traditionally found in Thai gardens, such as replica “spirit houses” that can often be found by homes, businesses, and public buildings. During the exhibit, NYBG’s full-service restaurant the Hudson Garden Grill will be offering a selection of dining options and a variety of Thai-inspired offerings.